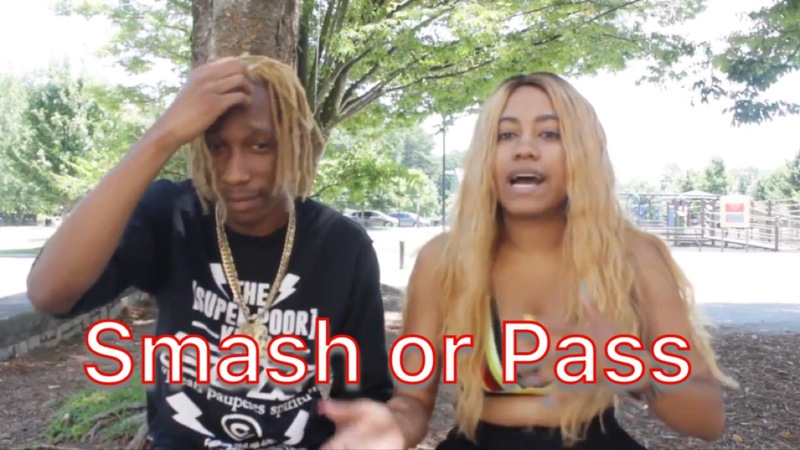 In this episode of #spilltheTEA, Atlanta influencer Teaacup plays Smash or Pass with New Jersey native Mir Fontane. On a vibrant side, we learn that Mir isn’t too fond of black lipstick and thinks the septum piercing doesn’t fit every female- a thought that isn’t too far fetched according to many. Mir Fontane is an up and comer with something to prove. Finishing his album tour mid summer, Fontane begins to talk about the persona of “Macaroni Tony” dying his hair blonde to fit the “macaroni” mold, and how the project is a tale of his past and his rise to be one of the greatest. The story could easily be heard on the second track of called ‘Next’ (which also can be heard playing before the interview). Fontane has always came to play. His ambition has been there since a child, with the help of his grandfather, Fontane has always kept his focus on academics and the music. It has always been a passion, that could be seen early on as told by his grandfather. Fontane’s grandfather says that “[Fontane] knew education was the foundation. The good thing about living in this city, he sees both avenues of what he can do. [Fontane] sees professionals in the city, interacted with them, at the same time he sees that if you don’t keep your head screwed on right, you could fall by the waste-side.” (This can be heard on the Mass Appeal, mini-doc, Camden: A Child Invincible on YouTube.) In his hometown of East Camden, New Jersey, Fontane has spoken of the people, his/their life growing up in one of the poorest cities in the States and how difficult it was to spread his music. The continued hardship of being in Camden and trying to do the best he could with spreading awareness and making sure that being numb to the environment was something that could not be done. It isn’t just hype. Mir Fontane is a skilled lyricist with a infectious flow and current sound. The artist would go back and forth to Philadelphia to give a larger audience a taste of a different sound. Of course, the people came to love the artist, even to the point of booking larger venues and building a fan base. In his newest project, he tells a story to staying true with who he is, without getting lost in hardship of being a product of his environment. Check out the latest episode of #spilltheTEA and listen to Mir Fontane’s remix to the 6th track off his Macaroni Tony project “Bodega” featuring Fetty Wap on all major streaming platforms.